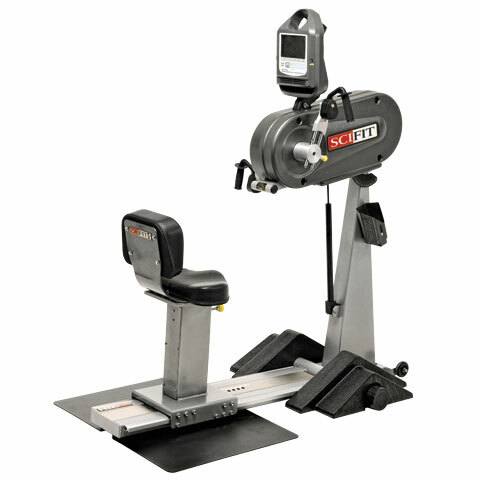 The SciFit Pro1 Upper Body Trainer is versatile, has a highly adjustable upper body exerciser that can be used seated or standing. It is also ideal for ground-based training. Features include: adjustable head, arms cranks, wheelchair platform, bi-directional resistance, very low starting resistance, and 200 levels of resistance.